There is much to admire about France. It’s un-crowded, the roads are excellent and the scenery is delightful. The food is excellent and the wine is plentiful and inexpensive. On top of all that, it has some outstanding golf courses, which is somewhat surprising since the French don’t seem all that interested in golf. They’re fanatical about football, crazy about cycling, love tennis, but golf is barely more popular over there than petanque is in the USA. Quite why there are so many beautiful French courses is therefore something of a Mystère. Like the Eiffel Tower, they might simply be there to attract tourists or, since avoiding tax is a national pastime, there may be some way offsetting the cost of maintaining bunkers against earnings. After a pleasant drive from St Malo, I arrived at La Baule. Although its full name, Golf International Barriere La Baule rolls off the tongue rather less quickly than a downhill putt at Augusta, it nevertheless suggests all manner of golfing delights. And with three courses offering 45 holes in total, there is plenty here for a golfer to sink his seven iron into. Designed by Peter Alliss and Dave Thomas, the first course opened here nearly 35 years ago. Since then, many putts have lipped out and many changes have been made. Only nine of the original 18 have been retained while the other nine have been hived off into a separate course. Michel Gayon was commissioned to add another nine, which have been inserted between the 4th and the 14th. All this has happened to the Red course, which consequently displays a mix of styles but is still essentially parkland. 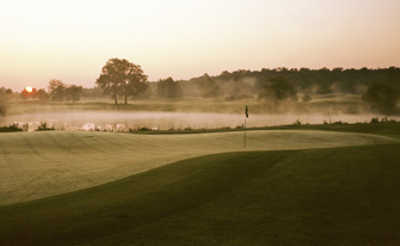 Fine trees, a sprinkling of water hazards and elevated tees and greens combine to create a rich golfing experience. Although the greens were in excellent shape when I was there in July, the dry winter had evidently affected the fairways, which looked rather weary in places and clearly not as immaculate as they were when the course hosted the French Open and entertained legends such as Seve Ballesteros and Nick Faldo. On the subject of legends, David Beckham and the rest of the England football team stayed in the adjacent hotel during the 1998 World Cup. The golf course must have provided a welcome source of amusement for the lads, but the suspicion lingers that had they practiced taking penalties instead of thrashing golf balls, they might have seen off Argentina. Saint Jean de Monts is really two courses for the price of one. It opens up with a rather testing hole around a lake and then weaves through a forest of maritime pines and oaks before eventually emerging near the beach and metamorphosing into a glorious links. The first half is rather frighteningly tight with the emphasis on precision rather than power. And it’s therefore with an almost audible sigh of relief that you eventually emerge blinking out of the forest and into the very much more spacious and inviting duneland. Higher handicappers and those slightly off their game might well struggle through the first half, but the effort is undoubtedly worthwhile and the eventual reward of a stunning inward run and a grandstand finish down an exhilarating final hole will adequately compensate you for any balls left in the woods. If there is a French equivalent of “hidden gem” (bijou secrete peut-être) then it should certainly be applied to the beautiful Sable-Solesmes. Roughly half way between Angers and Le Mans, the 27-hole complex is wonderfully welcoming, gloriously un-crowded and superbly maintained. The three nines have been named Forest, River and Waterfall. Sadly, there wasn’t time to play all three and I therefore only experienced the Forest and the River. Not entirely aptly named, the Forest sounds more frightening than it should as it only skirts the adjacent woods. Water, in the form of many pretty ponds and lakes, poses a greater threat than do the trees, which are mostly saplings that will become more of a factor when they grow bigger. Although the contouring rather obviously betrays a great deal of earth shifting, it does create well-defined fairways and provides both visual appeal and some interesting stances. The River nine contains a number of gloriously scenic holes, in particular a nervy downhill par three over a lake and a par four that requires a second shot to what appears to be an island green. 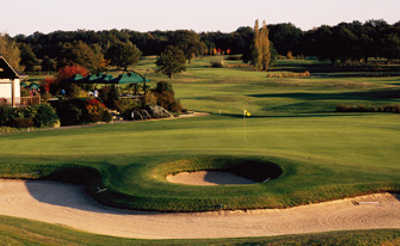 Having dropped down dramatically to the banks of La Sarthe – a tributary of the mighty Loire – and run along the river’s edge, the course climbs back up the bluff and finishes with two mercifully water-free holes. 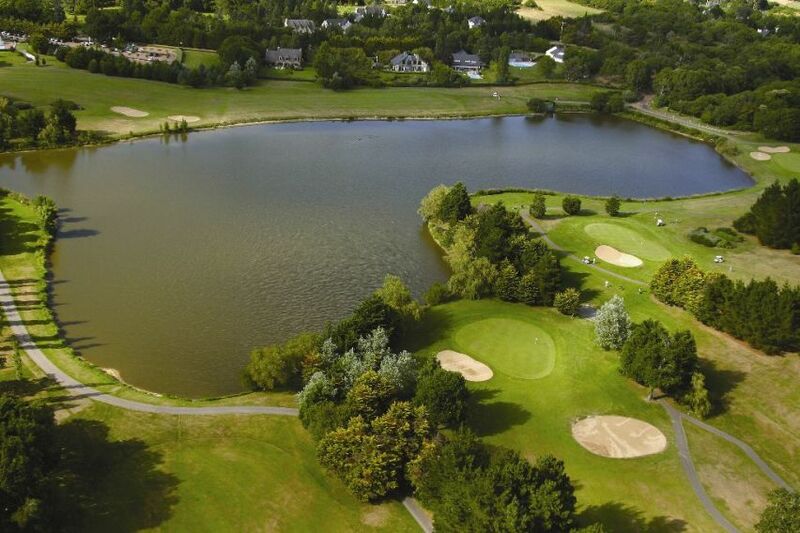 Host to the Challenge Tour is 1998, Sable-Solesmes surprisingly has only 150 members, which is good news for visitors looking for a quiet round on a beautiful course in a most delightful setting. Perhaps the best thing about golf in France is the food and drink in the clubhouse after the round. The suspicion is that French golf clubs take more care over the appointment of the chef than they do of the greenkeeper, which isn’t necessarily a bad thing. French golf clubs are also far more welcoming to women and children than their Anglo-Saxon counterparts and they don’t fret unduly over dress codes. Golf in France is consequently an altogether more relaxed experience than it is, say, on the other side of the English Channel.